Unifore, the pioneering security equipment manufacturer, it's proud to launch new 4-megapixel network cameras portfolio. These 4MP IP cameras deliver extreme high definition video maximum supports 4-megapixel (2592x1520) resolution. By utilizing the top-quality OmniVision 1/3-type progressive scan CMOS image sensor, these products can not only deliver vivid color image with high dynamic range (HDR) technology, but also high-sensitivity feature to provide excellent low-light performance, which fitting the 24 hours video surveillance requirement. Unifore 4MP IP cameras are based on Hisilicon SoCs, including Hi3516D, which is a ARM A7 architecture based processor owns 3MP@30fps / 4MP or 5MP@15fps video encoding capability; Hi3516A, the next generation ARM SoC for HD-video cameras, offering 4MP/5MP@30fps video encoding. Both processors utilize H.265/H.264 video compression, when using the H.265/HEVC encoding, the network bandwidth and video storage size can reduce to half. In addition to DWDR, 2D-DNR, 3D-DNR, mirror, flip, rotation (corridor mode), motion detection, privacy mask, digital image stabilizer, lens distortion correction, etc these advanced image processing functions, Unifore 4MP IP Cameras support ROI smart encoding, and smart detection. 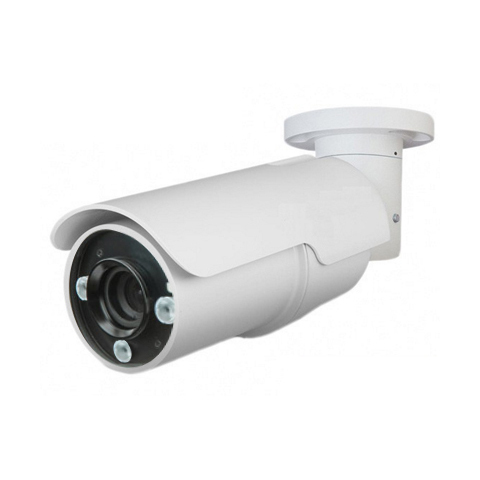 They are compliant with ONVIF Profile S standard, including RTSP video stream, SMTP protocol, allowing the camera to be integrated with other security systems. In order to provide the crystal clear image, the cameras can be equipped with motorized vari-focal zoom lens (2.8-12mm), the motorized zoom lens provides 4x optical zoom, and can automatically adjust the focal length to obtain the clear image, it can be controlled by web interface, PTZ keyboard joysticker, RS485, VMS software. Including rich interface such as Alarm Input/Output, Analog Video Output (BNC), Audio Input/Output, USB (up to 128G on-board storage). To know more information about the 4MP resolution network cameras, you can read Unifore's article. 1# What’s the 4-megapixel resolution?